Lubricant eye ointment Puralube 15-85% in 3.5gm tube. 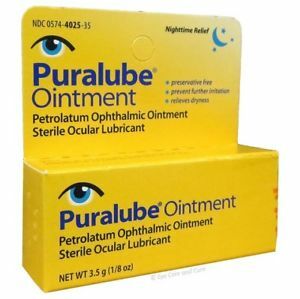 Relieves dryness of the eye or prevent further infection. Manufactured by Perrigo. NDC Number: 0574-4025-35. Comes as singles.